I’ve been impressed with the Thomson HD boxes, used for Czech Skylink tv, the menu system is good, clear and easy, the same can be applied to the latest Thomson Fransat receivers, which are very very similar. If you’re intending to use just the French channels, then go to the Automatic installation part of the install menu and it is set up in no time. Then return to the install menu, set up each satellite with the appropriate “dish” and you should see the Signal strength and Quality bars light up, if all is well. If all of the lnbs are ok, then proceed to Scan, selecting Free option for TYPE and TV , Radio or ALL as desired. But …. where are the channels you’ve just scanned? 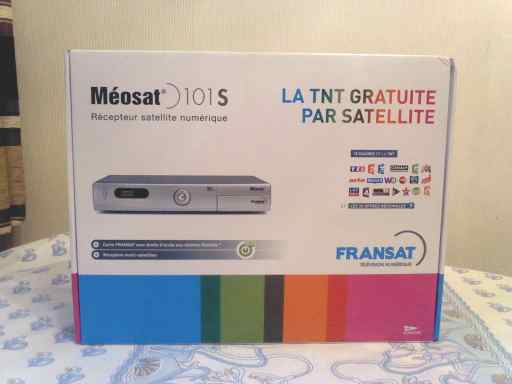 Here is the change from previous models of TNT and Fransat box, they no longer show up at channel 1000 onwards. They are only visible in the edit channels and edit favourites menu. When set up, you simply press the FAV button , to access them. The box is now organised to separate into groups from the tuning menu. In one way this is good, it makes you organised. But if you’ve just scanned Astra 1, there are a LOT of channels to go through to find the ones you wish to store as your ‘favourites’ . I do this a lot and it took me hours. I can imagine that if you are not familiar with the huge list of channels, it would take you an age, to put the fav icons to mark your channels. There is also no indication of encryption when you do this, so you could easily mark an encrypted channel, several are duplicated on the Astra 1 satellite, some free, some encrypted, so you end up with a list containing many blank , encrypted channels. Then you proceed to the second, third and fourth satellite, each time the channel list get longer and the time to go through the channels increases. On this particular occasion, the customer bought 2 boxes so I had to go through this procedure twice! Here another little glitch occurred and I still have no idea how to solve it. On box one, each satellites channels stayed together, on box two, they appeared in alphabetical order. I had several tries to change this, to no avail. It probably depends on the setting at the time you scan the channels in. I will update this post, when I find out. The problem this created was each time I added a satellite, the second boxes channel list ( alphabetical ) was getting longer and longer so finding the channels to add to a fave group became much more difficult. With the first box, the channels remained together, so Astra 1 channels went from say 300 to 600, Astra 2 from 601 to 1100, Hotbird from 1101 to 1200….. so finding for example ,the Italian channels which are all on Hotbird, was comparatively easy on box one. There is no way to store the channel or favourite list, as there is now on many FTA free to air boxes, using a memory stick or as previously, copying from one box to the next. This is a serious omission and I would advise anyone to use an alternative like the Technisat receiver , if you want an easy life, although its more expensive, you can update your customers by email, you can provide like I do, a backup system which is easy to use. Also in terms of time, when on a call out, the system can be rebooted, factory reset and reprogrammed in less than 10 mins. With the Fransat boxes you would be hard pressed to do the same on a multi satellite installation in less than half a day! How did the Thomson Fransat fair. Well, very well indeed, crystal clear pictures, on French and Spanish and German and English channels, it recorded well. It was easy to use, my customer picked up the changes straight away and was able to record and playback without any difficulty. Unfortunately due to slight change in the format, the French box was unable to playback any of his previous recordings, but they were available from the disc, via a laptop, if that is important to your needs. The playback of recordings was to be found either via the menu and ‘files’, or using the OPT button. As with all other French boxes, the epg is simple and primitive, I can’t believe that they haven’t implemented a 7 day system. My final gripe, is to do with the diseqc switch implementation. Simply put diseqc 1.0 no problem. Diseqc 1.1 forget it, it does not work! So you are limited to 4 lnbs max. Presumably Thomson will correct this in future firmware updates. Overall, I like the Thomson box and having installed so many Czech Thomson boxes without problem, i’ll continue to recommend it as , easy to use, easy to install and dead reliable. Price wise it sits at the top end of the competition, but it is currently ( sept 2017 ) on offer, so very similar to the Strong box price. For French only, or maybe French and Spanish channels, I’d have to say go Thomson. For any more satellites, go for the Technisat. All of the Fransat receivers i’ve supplied for the last couple of years have been HD so this is an update to the Fransat page: Be Aware that Fransat is planning to go ALL HD in the beginning of next year ! For viewers wanting to combine Spanish and French or UK and French, the order of the channels will be fixed – first 50 channels – Usual French starting with TF1, France 2, 3,4 …..
Lastly 1000 up is where any other channels will be located. The easiest way to organise any other bouquet of channels would be to store them in a Favourite group which is very easy to do and simple to access using the FAV button. FranSat receives its signal from the Atlantic Bird 3 satellite, roughly due south. The range of receivers by manufacturers Aston, Wisi and Visiosat now includes HD types, for the 4 current HD channels ARTE, France2 , M6 and TF1. I am currently able to supply the Visiosat model Meosat 101S, which has proved very reliable with quite a few installations this last 12 months, so I can recommend it. It seems quite well made, the remote is responsive, all the boxes so far, found the OTA ( over the air ) software updates, as soon as they were plugged into the dish and tuned in, so I am confident that there will be no surprises for my customers. Sometimes with non Uk broadcasts, the OTA updates will require the user to act, by resetting or retuning, but the Fransat boxes by Visiosat are well behaved. Very little setting up is required ‘out of the box’ and any adjustments can easily be corrected later from the main menu. It is the easiest of the available french receivers to install, one ‘ok’ from the remote tunes all the channels. Enter the menu to set the box to the tv aspect – either 4:3 for old tvs or 16:9 for widescreen. France3 has all the regional channels available so choose your favourite region and you can move it in the channel list to your chosen position. In operation the channel list button brings up the list of channels in the bottom half of the screen , you can select from there and ‘ok’ to change to your viewing choice. Although there is a ‘favourite’ button system, I found that the channel list was quite manageable with all the channels in it , some 30 in all, when most of the France3 regional ones were eliminated. Overall an excellent product. The mains lead of course is a two pin continental type, when I install , I provide and fit a permanent adaptor for Uk mains sockets. I have seen major software problems with other makes of TNT /FranSat box so I always make certain that the properly aligned dish is plugged in before applying power, just in case it starts the install immediately. In two instances, with a TNT box ( not supplied by me ) , the units could not find the satellite, went to update and ended up having to be returned to the manufacturer…. so be warned! The card should be left out until the unit is tuned and updated, then select a scrambled channel like TF1 ready to test the card. Insert the card with the logo upwards. The TF1 picture and sound should appear instantly. 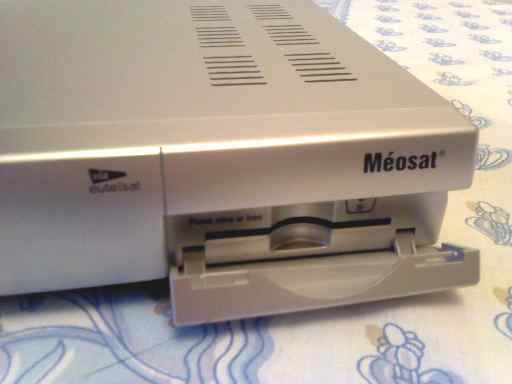 Although the receiver is described as Viaccess ( the encryption type) the Fransat and TNT cards will NOT work in any other than the correct box . 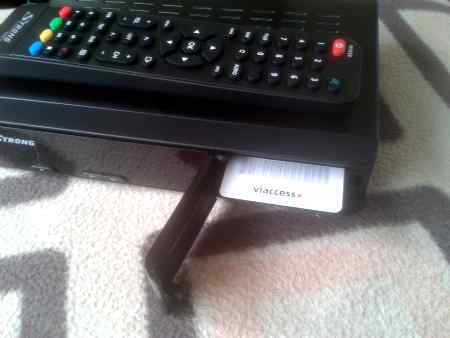 The cards will NOT for example work in a Technomate receiver with Viaccess CAM, even the official version CAM! Fransat and TNT have changed the spec slightly to avoid the card hackers. 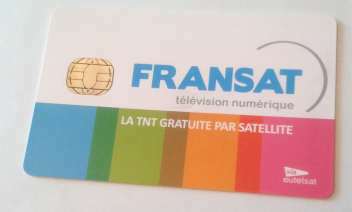 According to the official FranSat website: There is no expiry date on the Fransat card, so its a once only payment and the channels will remain free. If the Fransat encryption is hacked it may be that new cards will be issued…. I am looking for a fransat type of frresat recorder for use here in UK on the 3degree west satellite (Atlantic?). As big a hard disc as possible. Have you anything suitable? 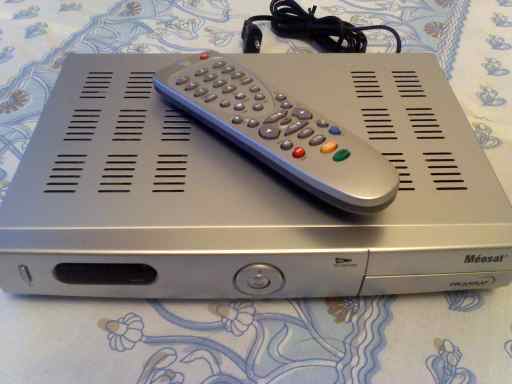 I can supply any Fransat box or TNT box, there are also twin tuner units , though expensive that will allow you to watch one channel while recording a second one. Most will cope with a 500Gb drive, some however will slow down in operation above that limit. Hi I am looking for a Fransat HD Recording system, which might provide German channels as well. I also speak Italian and am interested in a few other countries, but France and Germany are the main set of channels I am looking for. Does such a system exist? You can do this, but it would be a lot simpler if you chose TNT, as both TNT and German channels are on the same satellite. Italian is partially scrambled and on a different satellite, which introduces new problems. Submit the form on my homepage at http://www.satellitetveurope.co.uk and i’ll go through all the options available. I’m looking for french sat that has every channels. I just want to know how much it will cost. Fransat and TNT have similar channels and include all the core TNT channels TF1, France 2,3,4,5 Arte FranceO , Gulli , etc… The choice is usually open but it is best to have a look at the orientation of your house, they are on different satellites so there may possibly be an advantage to one or the other. Submit the form on my homepage http://www.satellitetveurope.co.uk ( “Quote Me” button ) to get a full and free quote and advice. TNT – There is no cam available. The ones on Amazon are for Terrestrial tv in France, not for satellite. You could use the Fransat cam and card but the price would be higher than a TNT or Fransat box , so there is no point. Be sure to buy an HD box, whatever your choice is, as France will be all HD in early 2016. I have a Fransat receiver. Now, ı can not acces the menu, can only select two options. lets say sipmly its frozen or blocked. How to reset and return to factory settings? On some receivers, you can reset and reload software by unplugging the power, then hold the power/standby button in , while replugging the mains supply and hold until the screen appears. We’re looking for receivers for 28.2e FTA and 19.2e French channels. Do any of the TNTSAT support FTA channels from a second LNB, and would you list some good quality models? Alternatively we have a strong signal from 5w so Fransat would work on a second 50cm dish, and their cards are valid forever unlike TNTSAT. I think the TechniBox HD VA looked possible because of DisqEq. I just saw this on amazon! If I bought a receiver with a CI slot, could I install this and then buy a card from you? Better to buy one with a card, you won’t see the Fransat cards on sale anywhere. Better still buy a Fransat HD receiver, comes with card and guaranteed to function, unfortunately many so called CI+ receivers don’t work with this CAM. I’ve had this experience myself, fairly minor sound problems and I’ve read about others having total failure with this CAM, so I advise to use a Fransat HD receiver. Yes you can tune in other channels incl. from 28.2 on most TNT boxes. Astra 1 and Astra 2 on one dish is easy, but Fransat and Astra 2 is a big stretch ( 33 degrees ) most parabolic dishes won’t work with satellites this far apart so 2 separate dishes as you say, would be the solution. 50cm is small for Fransat, I wouldn’t install on anything under 64cm or bad weather and normal aging processes will cause problems like picture break up, freezing etc. I’m not a fan of Technisat as I’ve had more faults on these than any other box. Try the Aston models like the Diva or new Maya or the Strong make. Although Strong is one of the cheaper models i’ve installed many, over a long time and not had any problems. This is for terrestrial ( aerial ) reception only in France and will not work by satellite. There is no TNT cam available, purchase a TNT HD receiver, it comes with card. Currently I have the TNT Strong HD receivers at £140 incl. post. Approx 3 years ago, I bought a Fransat pack incl Astrell ref 013130 and Fransat card – valid 2 years – at Leroy-Merlin in Calais. I live in Kent, and it worked rather well. Could you supply a new FRANSAT card, please and how much would it be? Valid for 2 years? That is unusual Fransat cards don’t expire and TNT cards should be valid for 4 years. Fransat cards don’t appear on sale anywhere that I know of, so this is a real problem. Is it an HD box, if not then change it now, France is going all HD in April so SD boxes won’t be able to receive all the usual channels after April 5. My receiver keeps updating which is annoying because I record my favourite programs every day being at work. As a result, the channel changes after each updates which occurs sometimes 2 to 3 times a week. Never had this problem with my previous receiver. Can this be avoided? I had a Technisat TNT box constantly updating, it was a fault and had to go back. Try a factory reset after leaving the box OFF and unplugged all night, if that is unsuccessful it will need to be returned for repair. I am interested to subscribe to a freesat service for Eastern Europe (Romania). They do use VIACCESS cards to grant their services but charge quite alot of money for the card (before you can even load credit to it). I have a friend that can give me a fransat SD receiver (whish will be useless in few weeks) + fransat card (so there should be no problem of them being locked to eachother), which has same VIACCESS logo and a similar numerical code to the ones used in Romania. The question is, would I be able to access the Romanian freesat service and load credit to the fransat card? I understand the same company (Orange) provides the satelite service for both satelites and using same Viaccess should in a way work (unless the numbers on the code include a particular country code). In practice Viaccess is pretty robust but I must warn against trying anything but the right receiver, many cards have been rendered unusable by doing this. The Fransat box is capable of FREE channels from most satellites, not sure if it would do the Encrypted ones though. I live in the UK and am interested in getting access to Mezzo TV. What can I/should I do? For Fransat, it is usually ok in most UK areas with 64cm, just occasionally i’ve had to go up a size. Best to test on a dull day. TNT however is much easier, always works with a 64cm dish. I would love to get mezzo tv in the uk. Do you have any solutions? Terms of Business | Contact Me | Privacy Statement & Cookies | Andrew - Mr French Channels!